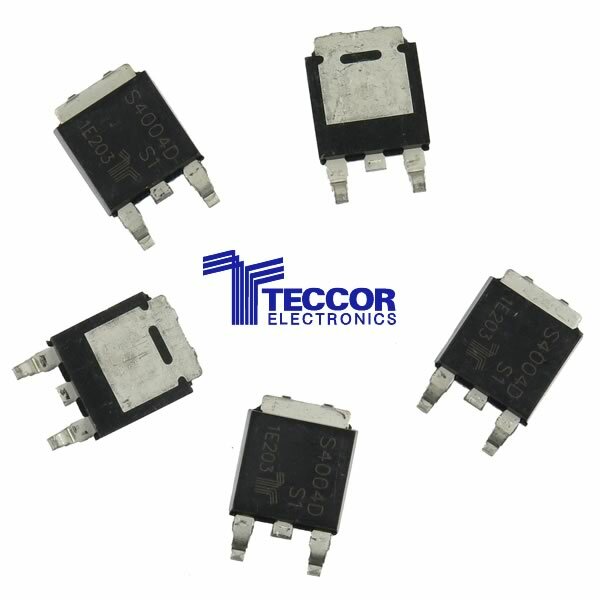 Tecor sensitive gate 400V 4Amps SCR in the easy to use TO-252 D-Pak SMD Package only requires 50µA of current to trigger it. Can handle 20Amps of surge current. Brand new - Sold in a package of 5.